This is the podcast of the teachings of Fresh Life Church in Kalispell Montana with Pastor Levi Lusko. they are simply messages from the Word of God, real. relevant. raw. 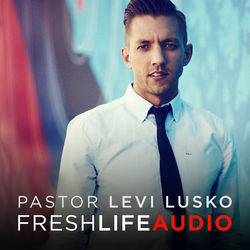 Listen and subscribe now to the best Christian podcasts today from podcasters just like Levi Lusko - Fresh Life Church. These popular Christian podcasts are available to listen to and download for free on Faithplay. Faithplay is filled with more episodes from Levi Lusko - Fresh Life Church and other top Christian podcasts. Download Faithplay today and start listening!